What can I expect during a typical eye exam? During your exam, you will be tested for visual acuity and general eye health. The doctor next to Sears Optical Yonkers will check for signs of cataracts, glaucoma and other eye diseases. An examination can also reveal other health problems, including diabetes or high blood pressure. At Sears Optical Yonkers, we accept many vision and insurance plans, and we're happy to work with you to maximize the value of your vision insurance benefits. Now accepting UnitedHealthcare members. Don't see your plan listed? Contact us to see if we accept your vision plan and to get details on your plan benefits. 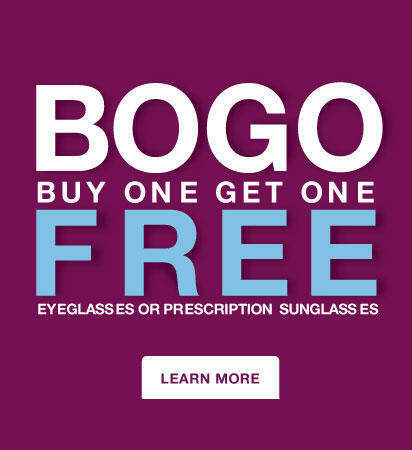 Visit your Yonkers Sears Optical Located on the 3rd floor adjacent to the café, for affordable and quality eyewear with style and service that families can trust. The friendly and caring associates at your Yonkers Sears Optical work to ensure you and your family get more out of life with professional eye care. Everything you love about Sears located on 87 N Cross Cnty Pkw is what you’ll find at Sears Optical – professional service, a wide stylish selection of quality eyeglasses, sunglasses and contacts all at a great value. And, as always, every purchase comes with Sears promise of Satisfaction Guaranteed or Your Money Back. Eye Exams available by Independent Doctors of Optometry in most states. Eye exams available from self-employed doctors who lease space inside of Sears. Sears Optical. Not all styles shown are available in all stores.